Today we are featuring Celebrity Cruises in the fourth of our Special Partner Promotion emails. Celebrity is focused on providing guests with exceptional comfort, food & drink, amenities and experiences, all summed up by their tag line, "That's modern luxury." Celebrity prides itself on their food: everything that is served on board is cooked on board, apart from hot dogs, chips, and sugar free ice cream. The on-board bakery is running 24 hours a day. If you are into wine, they are the cruise line for you: they are the only cruise line that has sommeliers on each vessel (23 on the Solstice alone!) 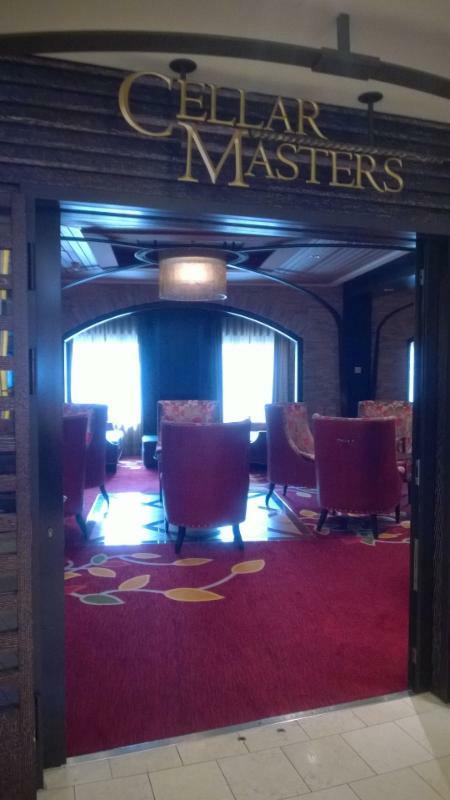 and each 7-day cruise offers at least 3 wine events in their Cellar Masters wine bar. The Solstice carries over 500 different varieties of wine. If you enjoy visiting the spa aboard ship, Celebrity's spas are operated by Canyon Ranch Spa, and have one "Best Cruise Spa" for the last 12 years running--definitely worth a visit! 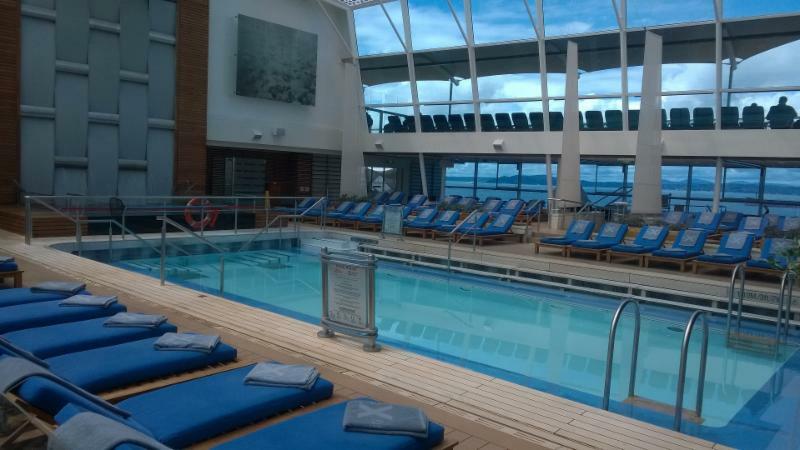 Our staff recently had the opportunity to tour the Celebrity Solstice, and really enjoyed everything they saw. The common areas are spacious and inviting, and the ship never seemed crowded. 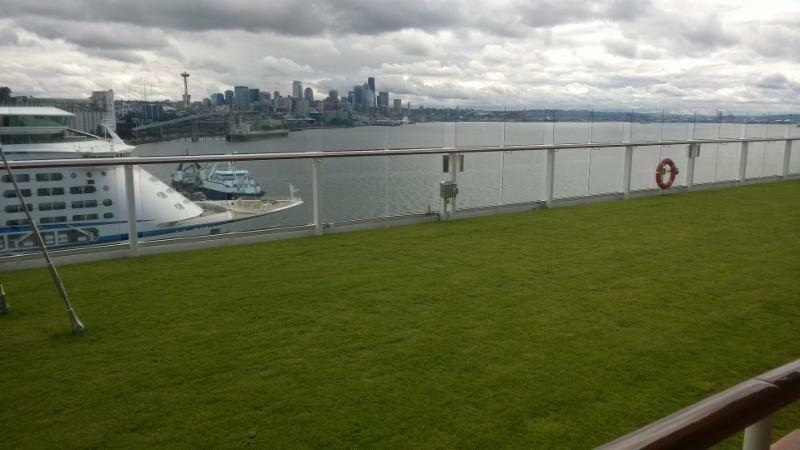 Above is a picture of the Lawn Club, half an acre of real grass on the top deck! Celebrity has an eye for detail, such as pool towels already laid out on each of the padded deck chairs. And every guest is welcomed aboard with champagne and mimosas, to get their vacation started right. Celebrity has also taken the unique step of making their on-board casinos non-smoking, as well as all decks and balcony cabins. There are only 3-4 designated smoking areas on each ship. And you guessed it: we are holding group space aboard several Celebrity itineraries for you to consider. On-board credit of $300 for two. Choose from itineraries departing November 1, 2016, through June 30, 2017. Additional guests in your stateroom receive a free Classic Non-alcoholic Beverage Package and a free 40-minute Internet Package. Note: Offer excludes Galapagos, Repositioning, Transatlantic, and Transpacific cruises. Please call us at 425-827-5656, or send email to info@ptserv.com, and let us help you plan your next Celebrity cruise!